Flipboard, Apple’s 2010 iPad app (s aapl) of the year, is finally launching on Android phones (s goog) worldwide, and will also be available on the Kindle Fire (s amzn) and on Nook tablets (s bks). 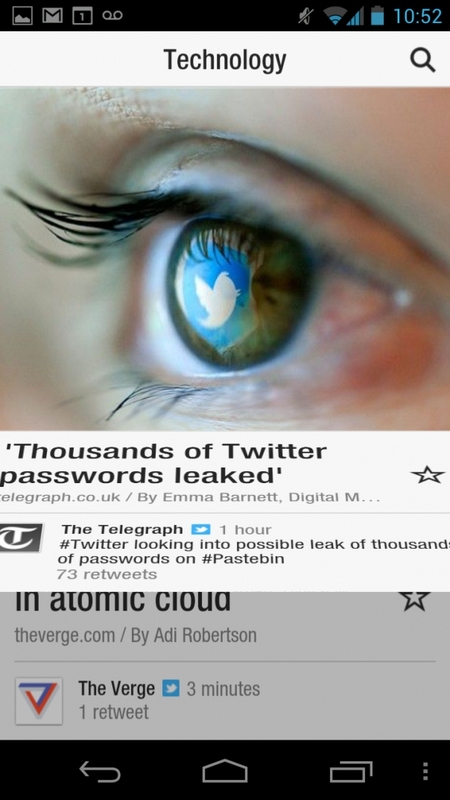 The personalized news magazine app will incorporate Google+ and YouTube for the first time. But Flipboard has no plans for a dedicated Android tablet app, another sign that the Android tablet market still lags behind the iPad in acceptance with top notch developers. 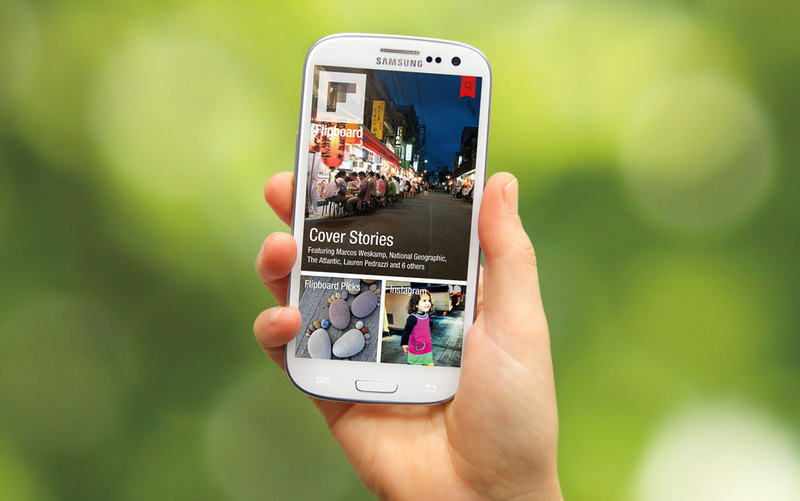 Flipboard will now be available worldwide in the Google Play store and will come pre-loaded on the Samsung Galaxy S III. A modified smartphone version of the app will also appear in the Amazon Appstore for Android, the Barnes & Noble Nook Store and in Samsung Apps. Select Android users were allowed into a beta program last month, which helped Flipboard iron out the last kinks in the Android app before worldwide distribution. Other users who had signed up for the beta will be informed Friday of the app’s availability. Some eager Android users had previously downloaded a leaked version last month. As announced earlier, Flipboard will now incorporate feeds from Google+, so users will be able to see stories and updates from their activity stream and be able to comment back on shared content. The news magazine app has also added YouTube as a source, allowing Flipboard users to view popular videos, follow channels and see their own saved videos. That brings a lot of great video to a service that has been primarily about stories, pictures and updates. The magazine app has also expanded international support with the release of fully localized versions for Germany, Korea, Italy, Spain and The Netherlands. Previously, Flipboard had supported Japan, France, China and English-speaking countries. While the move to Android phones has been long-awaited, Flipboard’s marketing executive Marci McCue said there is no rush to build a version for larger Android tablets and it isn’t on the company’s roadmap. “We focus on taking one step at a time. As far as tablets go, the biggest player is the iPad. We’ll watch the (tablet) market but right now the market is the iPad,” said McCue. She said there may be some Android devices that have undergone less testing for the Flipboard app, but she said it should work for most higher-end devices. Android fans should rejoice at yet another major iOS standby coming over to Android. Now, with Instagram available on Android, and other big name developers, such as music maker Smule now developing for Android, there are more signs that Android is rising in the eyes of developers. But the fact that Android tablets are still not a priority for, at least, Flipboard suggests that the platform has a ways to go on those devices. That may be what Google will address at its developer conference next week, perhaps with its own tablet hardware. Hmmmm….wonder how much they got paid by Apple to not develop (or delay) a version for the Andriod tablet market. Just a suggestion; you should include a short explanation explianing what is Flipboard. I read your article, clicked a couple of the links and still do not really know, or than it is some sort of “Magazine App”. And yes, I know how to Google, but that is not the point. Actually trying to be constructive, as your aticle was almost interesting, however, just ended up being annoying. If I understand correctly, adapting an Android app to tablets involves creating at most a few layouts, regenerating icons (they did create vector icons, didn’t they? ), and testing. That’s it. Back in the old MS-DOS days, a thriving software industry was able to ship countless desktop applications that run on a balcanized hardware base with little or no standardization for even basic system services like printing, graphics output, CD-ROM storage and memory management. Now they complain about Android fragmentation. And they can’t be bothered with adapting an app to tablets. What’s wrong with developers these days? Are they becoming lazy? Are they still able to code? Do they want apps to write themselves? Android Tablets would mean splitting out into a 4th codeline to test and maintain – for a niche market this makes very little sense. Makes much more sense to stick to the larger iPad, iPhone and Android Phone markets and keep your maintenance efforts small and tight to retain agility and keep your engineering team sizes low. Apps are what is needed to make your smartphone smart and unique.Im fond of app creating and find it really helpful to use site like Snappii where i can build apps in minutes. Why would they make a dedicated tablet app? That’s not how you build for Android tablets. Had they followed the design guidelines their tablet interface would be 3/4 done. All they’d need to do is make the separate layout file for larger screen sizes. As usual it seems that devs that start on iOS get stuck on its very lacking set of APIs and miss the power of Android development.